This article originally appeared in the Spring 2009 issue of Queen’s Quarterly, a journal published by Queen’s University in Kingston, Canada. In southern Ontario, the summer of 2002 lingered long into September. On the Oak Ridges Moraine – a hilly glacial deposit about 100 kilometers northeast of Toronto – the leaves were still green and there was an unseasonal warmth the air, even during the evening. It was as though autumn had simply forgotten this environmentally sensitive region, where deciduous woodlands mingle with the coniferous forests of Canada’s great north. On the evening of September 19 I was one of about 200 people who turned off the main Toronto-Peterborough highway to travel up a roller-coaster dirt road into the back country. At the edge of a small lake called Wolverton Pond we assembled: a mixture of cognoscenti and the merely curious. We came to see, hear and participate in R. Murray Schafer’s Patria 9: The Enchanted Forest. When darkness began to fall, guides ushered us down a pathway into the woods, into a supernatural world of music, theatre and ritual. Schafer is the most famous Canadian composer alive, and one of the few whose works are often heard outside Canada. His orchestral scores have been conducted by Seiji Ozawa and Pierre Boulez. His string quartets – there are now eleven of them – have been performed by the Cuarteto Latinoamericano in Mexico, Quator Parisi in France and the St. Lawrence Quartet in the USA. His choral music has been sung by vocal ensembles in Scandinavia. Some of his works travel well. The waste of capital is more conspicuous in opera than in any of the other arts. It is also the art form most seriously hampered by the Hollywood star system. And it has taken upon itself the task of perpetuating a good many works for their musical values alone, regardless of the fact that dramatically, and in other ways, they no longer excite. Yet there it stands in the midst of society with the appetite of a dinosaur, fed by blowzy socialites. The soft carpets and the red velvet are still there, the chandeliers with their thousand tiny drops of glittering light still spill down on the jewelled necklaces. Who are we to presume that such a bastion will fall in our time? Let us circumnavigate it. Schafer’s three-decade circumnavigation has produced something as grand and elaborate (and sometimes as expensive) as the operas he disdains. It has also produced a definable artistic ethos, which he calls the Theatre of Confluence. Ideally, what I want is a kind of theatre in which all the arts may meet, court, and make love. Love implies a sharing of experience; it should never mean the negation of personalities. This is the first task: to fashion a theatre in which all the arts are fused together, but without negating the strong and healthy character of each. The Enchanted Forest is a good example of Schafer’s ideals. The audience doesn’t sit in a theatre watching a performance unfold, but walks on a mile-long pathway through an increasingly dark wilderness, stopping at various stations along the way, where scenes of the story are performed. Often, Schafer’s musicians (playing wind instruments and percussion) are hidden in the trees, so that they surround the audience but are not seen. At the outset, we learn that the girl Ariane is lost – but an encounter with the Marsh Hawk reveals that she has actually been abducted by Murdeth, a land developer who plans to cut down the forest. Eventually Murdeth is thwarted by Fenris the wolf, and the Shape-Shifter, who transforms Ariane into a birch tree. The final scene takes place in an open field under the stars, within a large circle illuminated by candlelight. The Earth Mother announces that the audience has bonded with the spirit of Ariane, and is now morally bound to protect the forest. This plot is as naïve as a folk-tale, and its message is as blunt as a brick: nature good, development bad. (Schafer was an environmentalist long before it was fashionable – although some of his ideas about ecology would seem strange to today’s bottle-recycling urbanites.) Yet beneath its eco-friendly surface, The Enchanted Forest touches on other themes, such as redemption through ritual sacrifice, and the vanity of human striving in the face of greater natural and supernatural forces. Schafer’s characters are archetypal, reappearing, in various guises, throughout the Patria cycle. And they are drawn from a wide range of sources: Fenris is of Scandinavian origin; Ariane’s roots are in Ancient Greece. Some works in the Patria cycle can be neatly described in terms of their cultural origins – Ra is Egyptian, The Palace of the Cinnabar Phoenix is Chinese, and The Princess of the Stars is Native American – while some others are harder to categorize. Similarly, Schafer is a magpie in his compositional style. While his music falls within the “contemporary classical” genre, this term is broad enough to encompass a wide variety of styles – and Schafer has made use of most of them. Sometimes his music has the lushness of Debussy, or the angularity of Stravinsky, or a grandness of gesture that might be traced back to Mahler and Strauss. Sometimes Schafer reminds me of the Japanese composer Toru Takemitsu or the American George Crumb in his subtlety of timbre. Schafer isn’t just a composer: his pursuits are varied in ways that make him difficult to label and that can lead to confusion. To some, he is a sociologist; to others, an educator. He’s also an essayist, a diarist, a novelist and a poet. His musical scores are pen-and-ink works of art, and they’ve been displayed in galleries. (Even his name has led to confusion. For the record, he was christened Raymond – not Robert, Richard or Ronald – Murray Schafer in 1933, in Sarnia, Ontario.) The scope of his activities is astonishing: even if he did not write music, he would still be an impressive figure. However, he is primarily a composer, this essay will focus on his compositions. The 2002 performance of The Enchanted Forest was not my first acquaintance with Schafer’s art. That took place at the University of Western Ontario in 1980, when the Faculty of Music presented the premiere of his Apocalypsis. Based on the visions of St. John the Divine, Apocalypsis is not part of Patria, but shares many of the cycle’s ideals: the combining of music, theatre, dance and visual spectacle in a multi-media Gesamtkunstwerk. Apocalypsis employed a large choir, various instrumental ensembles, solo singers and actors, and electronic sounds. And when Schafer called for volunteers to help him build “angel wings” (devices that would shake large sheets of aluminum, to create a thunderous roar) I stepped forward. Together with several other music students, we built seven of them, and suspended them from the balcony of Centennial Hall in London, Ontario, where Apocalypsis was premiered. My encounter with Schafer the man proved at least as memorable as my first experience of his work. In part, I remember him as a fiercely determined visionary with a combative edge. Rehearsals for Apocalypsis were tense, punctuated with angry outbursts when he didn’t get what he wanted from his performers. But in the music class he taught he was friendly and collegial with the aspiring young composers who were his students. It was a course unlike any I’d ever taken, and it had little to do with the way music is conventionally taught. Rather, the classes were a platform for Schafer to present his rich repertoire of ideas on acoustics, culture, art, society, politics, and a host of other subjects. Schafer’s own education was certainly unconventional. In 1954 he enrolled at the University of Toronto, but his rebellious nature clashed with the Faculty of Music’s rigid approach to education. Before long he either quit or was expelled – there are differing versions of the story – and he never graduated from a university. However, it was during his student days at the U of T that he discovered Marshall McLuhan, attending the media-guru’s lectures. The experience proved influential, and lent a McLuhanesque hue to Schafer’s own ideas about sound and society. Like Mark Twain, Schafer wasn’t about to let his schooling interfere with his education. He set off for Europe, and spent most of the next five years there, spending time in such cities as Vienna and London. During these years he pursued his studies independently, his interests ranging from E.T.A. Hoffman to Bauhaus artists. He began to write in earnest: one product of this era was his first book, British Composers in Interview. He also sought out another remarkable mind. Ezra Pound had returned to Italy, after his discharge from a Washington DC mental hospital in 1958. He was living in a castle near Milan when Schafer wrote to him, requesting a meeting. The reclusive poet replied “Don’t come,” but Schafer went anyway. They hit it off, and found much to talk about: Schafer was interested in poetry, and Pound was interested in music. (Pound was in fact a composer, of sorts, and Schafer was the first scholar to take an interest in his music – penning several essays on Pound’s music, and producing his opera Testament of François Villon for the BBC in 1962.) At the end of the visit, Pound gave him a package to deliver to T.S. Eliot in London: unpublished cantos, the last that the poet would write. Schafer returned from Europe in 1961, a polymath and a widely read autodidact. (He also returned as a husband: in 1960 he married Canadian mezzo-soprano Phyllis Mailing.) As a composer he had a number of scores to his credit – including his Concerto for Harpsichord and Eight Wind Instruments; and his Minnelieder, for mezzo-soprano and wind quintet. However, it was his music-theatre work Loving/Toi that made him a nationally recognized figure in Canada, when it was broadcast by CBC Television in 1965 (in French) and 1966 (in English). Even as he worked to establish himself as a composer, he undertook a diverse range of professional activities. In Toronto he helped to found the innovative Ten Centuries concert-series. Relocating to St. John’s, Newfoundland in 1963, he became artist in residence at Memorial University. Two years later he crossed the country to take up a teaching position at Simon Fraser University in Burnaby, British Columbia. At Simon Fraser he was attached to the Centre for the Study of Communications and the Arts, and over the course of a decade developed his theories about sound and society. He founded the ambitious World Soundscape Project, with funding from UNESCO. (Schafer may, in fact, have coined the word “soundscape.”) The purpose of the wide-ranging project was to study “acoustic ecology,” and the relationship between humanity and the planet’s sonic environment. 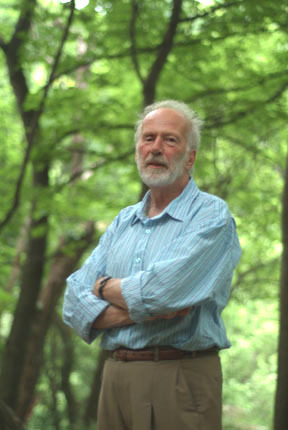 He published booklets, including The New Soundscape and The Music of the Environment. Eager to bring his ideas to young people, he gave school workshops, designed to challenge students’ thinking about music and sound, and wrote The Composer in the Classroom. His research into sound and society culminated in his 1977 book The Tuning of the World. In this seminal work, Schafer laid out a kind of acoustic history of the human race. As new technologies emerged during the Industrial Revolution, the soundscape was increasingly degraded, reaching its nadir in modern times. Today the world suffers from an overpopulation of sounds; there is so much acoustic information that little of it can emerge with clarity. In the ultimate lo-fi soundscape the signal-to-noise ratio is one-to-one and it is no longer possible to know what, if anything, is to be listened to. While Schafer was clearly disappointed in Canada as a reality – a nation of lazy Philistines with a chronic inferiority complex (in his opinion) – he developed a profound devotion to the Canada in his head. Schafer’s idealized Canada was a rugged northern land, sparsely populated by a rugged northern people. Shaped by their harsh, beautiful, lonely environment, these wise folk would have little use for the decadence of Europe, and would reject the tawdry seductiveness of the United States. Increasingly dissatisfied with Simon Fraser University, Schafer resigned in 1975 and left BC’s Lower Mainland for a farm near Bancroft, in Central Ontario. (He hasn’t held a permanent appointment with a university since then, although he’s frequently served as a guest lecturer in Canada and abroad.) There, with his second wife, Jean Reed, he lived surrounded by nature but far from urban density. In 1987, after a sojourn in Switzerland, he moved to another remote farm, near Indian River, Ontario, which remains his home. His second marriage lasted only a few years; he now lives for much of the year with mezzo-soprano Eleanor James, who is deeply devoted to him and his work. (I once asked her what it was like living with Schafer. “Well, you know,” she replied with a knowing smile, “he’s a genius.”) Rural life has suited him well, and he has been productive: there are now more than 100 compositions in his catalogue. And from the time of his relocation to the edge of Ontario’s boreal forests, his art began to fall under the influence of his environment. His first outdoor piece was Music for Wilderness Lake of 1979, scored for a dozen trombones positioned around the shore of a large pond. As well, his Patria works became increasingly rooted in the natural world. (Early Patria pieces, such as Wolfman and Requiems for the Party Girl focused on themes of alienation and mental illness in a modern, urban setting.) This penchant for placing his art in nature found its most extreme form in the Epilogue to the Patria cycle: And Wolf Shall Inherit the Moon – or, as it’s often called, the “Wolf Project.” Presentation of this work has been an annual event for twenty years, taking place every August in the Ontario wilderness. It takes a week to perform, and as it unfolds the distinction between audience and performer is entirely dissolved. The “wolves” (as participants like to call themselves) currently number about sixty, and have been carefully vetted for inclusion in the group, according to their various artistic talents and/or wilderness skills. Venturing deep into the bush, they establish camps and enact a series of rituals. Sunrise and sunset are marked by music; and at night, when the Talking Stick is passed around at the campfire, everyone tells a story or sings a song. For more elaborate “forest encounters,” participants are divided up into clans, each one with particular responsibilities. (For instance, the Dead Souls ritual is presented by the Loon Clan.) At the end of the week, the clans gather for Great Wheel Day, a ritual/theatrical performance that concludes when Wolf and the Princess depart on their heavenly journey. For the last eighteen years, the Wolf Project has taken place in the Haliburton Forest, a 60,000-acre tract of land on the southwestern edge of Ontario’s Algonquin Park, owned by Peter Schleifenbaum. The German-born forester-ecologist is clearly impressed with Schafer’s art and ideals, and five years ago he expanded his support to allow public performances of fully staged Patria productions on his property. The goal was to establish a permanent summer festival of Schafer’s outdoor works. In 2005 The Enchanted Forest was mounted in the Haliburton Forest, followed by The Palace of the Cinnabar Phoenix in 2006, and The Princess of the Stars the next year. Unfortunately, a few of the 2007 shows were rained out, and this took an economic toll on Schafer’s theatrical company, Patria Music/Theatre Productions. In 2008 there were no public Patria performances at Haliburton, and the future of the project is up in the air. Of the twelve Patria works, only one remains entirely unperformed. Asterion is an ambitious work, even by Schafer’s standards: it must be presented in a specially constructed labyrinth, into which audience-members enter (one at a time) to experience a mystical journey from darkness to light. Ideally, Schafer would like the location of the labyrinth to be secret – but in reality there’s nothing secret about it: he’s building it on his own land (and spending his own money on the project). To this end, he’s assembled a team of experts in architecture and theatrical design, headed by Jerrard Smith of the University of Guelph, to help realize his plans. Work has progressed over three summers – and organizers are hoping for a public premiere in 2011. Over the last two decades, Schafer’s music has gradually become more consonant – sometimes taking on an exotic, Asiatic flavour. There’s no better example of this than Gitanjali, a cycle of songs for soprano voice and orchestra that he composed in 1992. Based on poems by Rabindranath Tagore, Gitanjali is an elegant work, full of lyrical and florid vocal writing. Schafer’s use of his instrumental forces is delicate and restrained: he uses his orchestra as though it were a large chamber ensemble, much as Mahler sometimes did. There’s even a brief allusion to Mahler’s Symphony No. 5 in the third song. In his younger days, however, Schafer could be as harsh and angular as any modernist composer. To call his String Quartet No. 1, of 1970, “atonal” is almost an understatement: much of it seems to lie entirely outside the consonant-dissonant continuum. This intense single-movement work opens with the four musicians locked together in a fierce struggle, like the buzzing of angry bees. What follows is a brilliant cornucopia of agitated tremolos and trills, weird glissandos, and eerie harmonics, all used to excellent dramatic effect. Some of Schafer’s other string quartets aren’t just string quartets: they burst the bounds of the medium, incorporating vocalizations, pre-recorded sounds and even choreographed movements. However, with his String Quartet No. 1, Schafer takes a fresh look at what can be done with two violins, a viola and a cello, and nothing more. Schafer has made known his jaundiced view of the concerto, labeling the genre “flashy” and “meretricious.” But that hasn’t stopped him from writing several concertos. Perhaps the most innovative of these is his 1991 work for violin and orchestra, The Darkly Splendid Earth: The Lonely Traveler. Unusually, this concerto-like composition is in eight sections, seamlessly connected to give the impression of a one-movement work. Moreover, Schafer has discarded the elaborate interrelationships between soloist and orchestra that characterize most concertos. Here, they seem to go their separate ways: from the orchestra, rich and intricate structures of orchestral colour emerge; superimposed on this, the solo violin plays long, rhapsodic melodies, in a spontaneous stream of consciousness. If Schafer has doubts about the classically trained virtuoso, he has been wholeheartedly supportive of non-professional music making. One of several pieces he has written for amateur choirs is his Epitaph for Moonlight of 1966. Schafer’s text for this piece is a collection of words invented by a class of grade 7 students to mean “moonlight”: the children came up with “nu-yu-yul,” “moorwham,” “maunklinde” and an assortment of similarly evocative sounds. Using these words, Schafer penned a five-minute piece (in a notational system of his own devising) that begins on a single note and soon develops into a lush swash of choral sound. Delicate metallic percussion instruments are added to the vocal textures, to create a shimmering, evanescent effect. Schafer has received more awards than you could shake a stick at: a Guggenheim Fellowship, the Prix International Arthur-Honegger, the Jules-Léger Prize for Chamber Music, the Banff National Award for the Arts, the Glenn Gould Prize, the Molson Prize, plenty of arts council grants and seven honorary doctorates, including one from the University of Toronto. (He hangs them in his bathroom.) Unlike many senior artists, he has not been put out to pasture. Musicians continue to request new compositions from him, and graduate students write dissertations about all aspects of his work. Yet his stature is fraught with contradictions. Although he has a global following – people have traveled from Germany, Holland, Greece, Brazil and Japan to attend Patria performances – most Canadians have never heard of him. He’s internationally recognized as a writer, yet he’s had to publish many of his own writings himself, through his own company, Arcana Editions. His educational theories have been well received in Europe, Japan and Latin America – but his ideas have few advocates at home. And while his more “sensible” works are performed with a frequency that would (and does) make other composers jealous, Canada can’t seem to figure out what to do with the Patria cycle. We should figure out what to do, and do it. R. Murray Schafer is one of the most extraordinary artists this country has produced.